After eight years with the Kansas City Chiefs, pass rusher Justin Houston has found a new home. First reported by ESPN, Houston is signing a two-year, $24 million deal with the Indianapolis Colts. 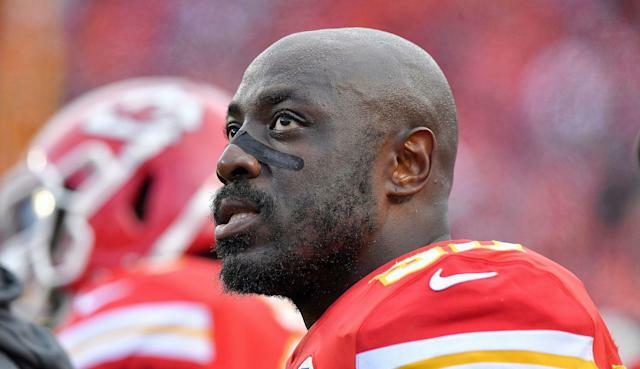 Former Chiefs OLB Justin Houston is signing with the Colts for two years and $24 million, a source confirms. @AdamSchefter had it first. Houston, 30, leaves Arrowhead Stadium with an impressive stat sheet. The veteran OLB registered nine sacks in 12 games for the Chiefs last season, and has 78.5 sacks in total over his eight-year career. The Chiefs drafted the former Georgia Bulldog in the third round of the 2011 NFL draft. As luck would have it, Houston will meet his former team this coming season. While the official schedule has not been announced, the Chiefs will host the Colts at home sometime next year. The last time both sides met, Kansas City beat Indianapolis 31-13 in the AFC Divisional Round game.